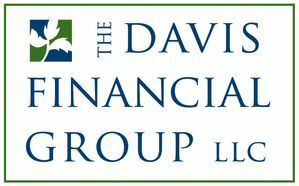 The Davis Financial Group, LLC is a collaboration of seasoned financial professionals – each with his or her individual practice and specialty. A closer look reveals an alliance that is indeed greater than the sum of its parts. Clients work with an individual financial professional of their choice, yet they benefit from the group’s collective expertise. The Davis Financial Group helps 'turn the lights on' for clients in Western Massachusetts, and helps empower individuals to take control of their financial lives. RVI is proud to have them as a sponsor. TechSpring is the only healthcare innovation center to empower technology companies with the authentic health environment needed to advance transformative solutions. TechSpring is RVI's host in Springfield, and we are proud to call them one of our sponsors. Serving the insurance needs of residents and businesses throughout the Pioneer Valley is a long-standing tradition at Webber and Grinnell. Their roots can be traced back to 1849, when A.W. Thayer opened an insurance agency on Pleasant Street in Northampton. In 1973, after a long history of mergers and acquisitions, Fred Grinnell and Gordon Woodward combined their agencies to form Woodward and Grinnell. The agency moved to its current location on North King Street. Webber and Grinnell currently serves over 5,000 automobile and homeowner policyholders, and insures nearly 900 businesses throughout Western Massachusetts. RVI is proud to have this local business as a sponsor.